Ever had one of those excruciating social encounters - so bad that you end up replaying the event over and over in your mind?! Yet, you can't quite remember the finer details, and eventually - thankfully - it all begins to fade over time. But. Imagine if you could always remember every single detail, every single moment and action and word of everything. Imagine a memory so powerful that it never allows you forget a single minute - that's a lot of baggage, a lot of emotion and a lot of memories. 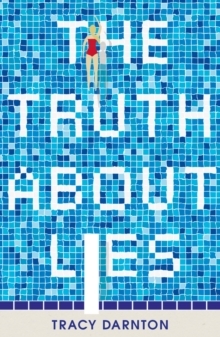 Welcome to the world of Jess, the protagonist of Tracy Darnton's YA thriller - The Truth About Lies. Jess's extraordinary memory attracted the attention of scientists back when she was just 11 years old. Lots of attention. Lots of tests. Lots of experiments. Too many? Fast forward to present time, The Truth About Lies is set in an isolated boarding school on Dartmoor. The setting is immediately atmospheric and chilling - perfect fodder for a thriller. Within the opening chapter we learn that Jess's room mate has just died, found beneath the window of their room. There are midnight vigils, creepy postcards with chilling messages and Jess has a strong suspicion she is being watched. But who is doing the watching? Who is sending the messages? As Jess's world begins to unravel, as she begins to question those around her and the strange past she has experienced, the reader is very much there with her, frantically trying to piece together the pieces of the puzzle. Darnton's novel brilliantly explores the power of memory - so many of us often bemoan a lack of memory, but, is that really such a bad thing? "I wish I could forget, like them.They really don't realize how lucky they are." The Truth About Lies is an intelligent, exhilaratingly fast paced, edge of the seat thriller that'll keep you guessing. Thoroughly enjoyable.